Fox Ridge is a 15-acre, 28-unit single family residential development in Waconia, MN. Alliant’s services included site planning of development, grading, street and utility design, earthwork balancing, tree preservation planning and hydrologic design. The project required a design that fit within significant site topography and natural features including wetlands and trees. 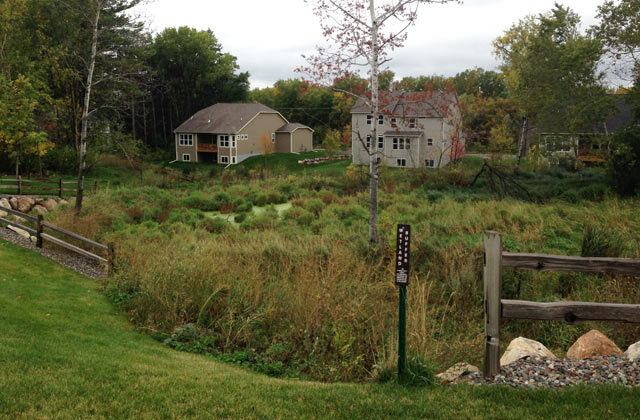 Our design preserved a large amount of the existing trees, avoided wetland impacts, and included a grading plan that turned the significant site topography into a benefit. The project was located in the Rice Creek Watershed District and thus the design required a stormwater management system that provides storm water runoff rate control, water quality and volume reduction. The development was very appealing and sold out quickly.